The leadership team at Bayou Midstream has extensive experience across the upstream, midstream and downstream markets. Bayou Midstream understands the producer’s business model and goals. This allows for a more effective partnership, which anticipates needs, challenges, and expectations rapidly. As CEO, Travis leads the Bayou Midstream team with overall responsibility for the development and execution of the company’s business strategy, engineering and operations’ solutions. Travis has a proven track record as a successful leader in both the midstream and upstream sectors having executed and operated complex midstream projects in multiple U.S. basins. 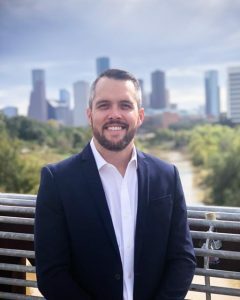 Prior to founding Bayou Midstream, Travis spent several years as the Facilities and Construction Manager at Terra Energy Partners. While at Terra, Travis managed all surface midstream projects and operations of a 900+ mile-pipeline system that flowed over 650 mmscf/d. This unique experience enables Travis to view midstream needs through the lenses of a producer. Prior to joining Terra, Travis led engineering, land, project management and operations for the Kingfisher Midstream system in the STACK play in Oklahoma, a crude oil and gas gathering system with a 60 mmcf/d cryogenic processing plant and 50k-bbl crude terminal. Additionally, Travis worked at Oxy in various project management and engineering roles in midstream and upstream sectors. 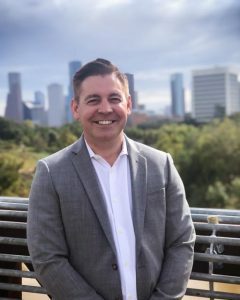 Travis earned a Bachelor of Science degree in Civil Engineering from The University of Texas at Austin and an Executive Education Certificate in Financial Skills for the Energy Industry from Southern Methodist University. As CFO, Ross is responsible for financial and accounting functions for Bayou Midstream, including capital raising, financial reporting and merger and acquisition analyses. 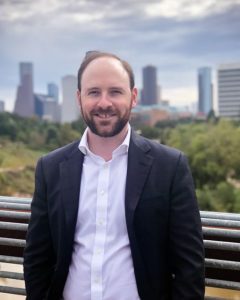 Ross brings comprehensive experience in corporate management and strategy, financial management, team leadership and business development to manage funding, analyze projects and to oversee financial operations. Prior to Bayou Midstream, Ross was at Barclays Natural Resources investment banking group and completed over $20 billion in merger and acquisition and financing transactions in the midstream and upstream space. Ross earned a Bachelor of Arts degree in Economics from The University of Texas at Austin and an MBA with honors from the McCombs School of Business at The University of Texas at Austin. As CCO, Jared leads business development, commercial opportunities, and growth development for Bayou Midstream. Jared earned a B.A. degree in Economics from Texas A&M University and earned his MBA from the University of Houston. Bayou Midstream is funded through equity commitments from EIV Capital and management. EIV Capital is a Houston-based private equity firm focused on the midstream sector of the energy industry. More information on EIV Capital can be found at www.eivcapital.com.